What Can I say? 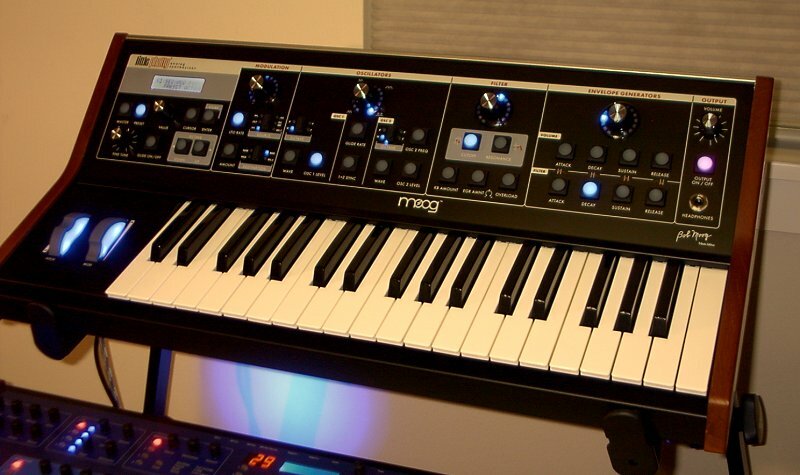 This is the Moog I wish I had twenty years ago. The Moog Rogue was my first ever synthesizer, bought new in 1983. I learned the basics of analog subtractive synthesis on it and learned to wring every bit of expression I could from its limited featureset. Sometimes limitations are just what you need to focus your creativity into a tight window. The Moog Voyager is a great synth but it has a lot of "bells and whistles" I don't particularly want or need...especially when it affects the bottom line. I've also got a few Moogerfoogers and a CP-251 so this new Moog is a very good fit for my needs and my existing setup. With the Little Phatty, Moog has pulled my old Rogue through a timewarp into the present and added a modern featureset along the way! Filter response can be set to 1, 2, 3 or 4 pole for maximum flexibility! RAC - Real Analog Control is a proprietary technology enabling the performer to directly interface with the analog circuitry via the knobs on the control panel, without any digital processing. Very nice! Regarding the Rogue, I worried about future maintenance...it was a 23 year old synth. Every year or so I would clean the keyboard leaf switches to keep the nasty spectre of "squawk" at bay. You haven't heard anything until you've heard the squawk of an old synth with dirty key contacts! A clean, dry bus bar is the key. I was very lucky and removed the foam gaskets from inside mine before they decayed into a black tarlike goo (a problem all the other Rogues I've seen have had) - I had to replace a worn-out VCF slider 10 years ago and noticed that crap starting to decay, so I scraped it out before it fouled the pots and switches. This is a time bomb that also plagues the MG-1 and the Opus-3 I believe. I also possesed a Micromoog for a couple of months. This thing was a lot of work due to its age and previous owner's neglect...the key bushings had decayed over the decades and needed replacing. The pitch ribbon had worn through and it was next to impossible to source a new one...and, at the end of the day, it was still a 1-osc synth and I still wanted a 2 osc mono. Two seperate EGs, both full ADSRs. Sync sweep is controllable by filter EG. The bottom line is the sound! The LP has the low end I was hoping for and can really growl like a monster with the overdrive cranked up! Amazing bass lines and delicate, expressive leads practically program themselves. Its exactly what I expected - I love the sound! Please visit Moogmusic's Little Phatty Page for all the nitty gritty on this beastie. The manual is available in PDF format if you're curious.